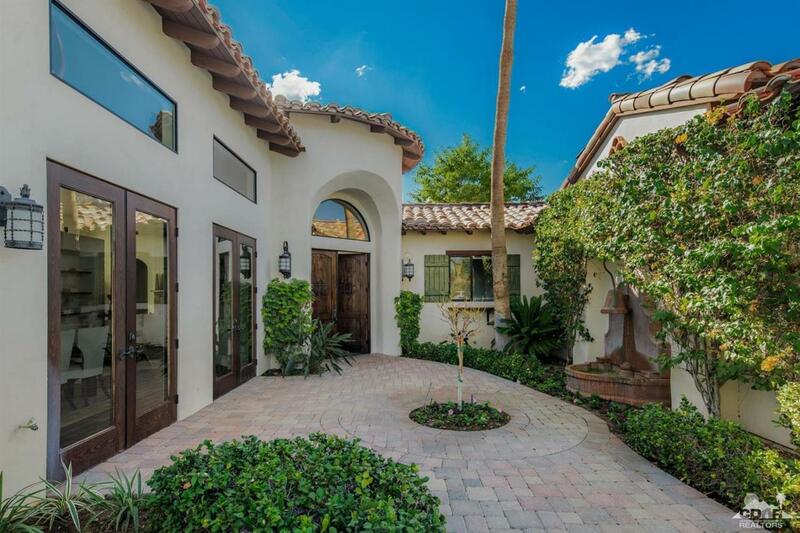 Painted Canyon | Warm Spanish architecture, custom finishes, open and spacious and surreal mountain views begin to describe this beautiful home. Situated on 1.04 Acres in quiet and peaceful Cahuilla Hills, this home has it all. Spacious great-room floor-plan with soaring ceilings and fireplace offers easy comfortable living. Open cooks' kitchen with large island, stainless appliances and breakfast bar. Huge wall of glass disappears and inside and outside become one. Minus Jack & Jill bedrooms-bath, bedroom suites are separate offering ultimate in privacy. Master Wing off on its own with fireplace and open to pool and spa, with views and privacy. Forth bedroom suite has sitting area with kitchenette, private bedroom and direct patio access. For your cars and toys an oversized 4-car tandem garage with separate side roll-down door. 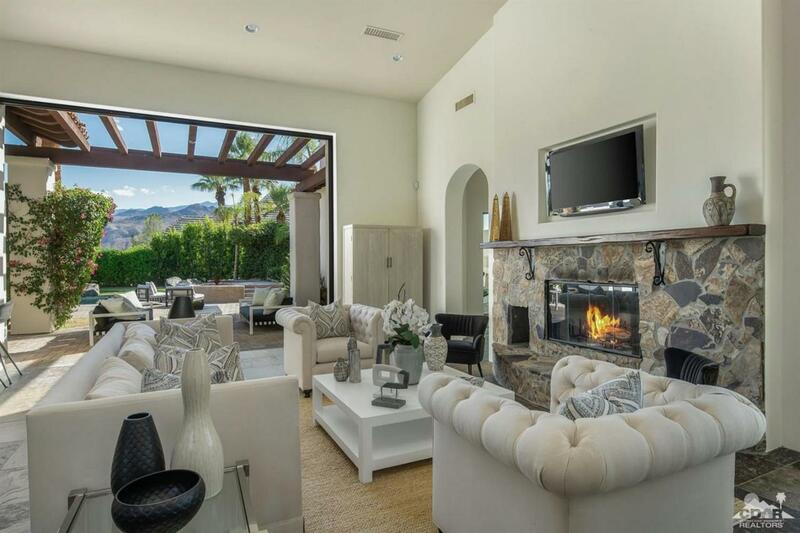 Amazing panoramic southern mountain views draw you to your patio with fireplace, private pool and spa and putting green. It's a beautiful life!